Absolute Black "Jade" is gem grade ferro-hornblende and not a true jade. It is absolutely black, with no green undertones, just like the Edwards black jade mined long ago in Wyoming. Absolute Black "Jade" is denser and has a higher refractive index than true jade. 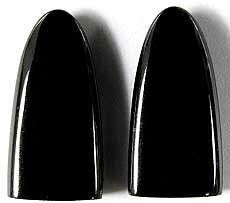 Absolute Black "Jade" quickly takes a higher polish than can be obtained with true jades. 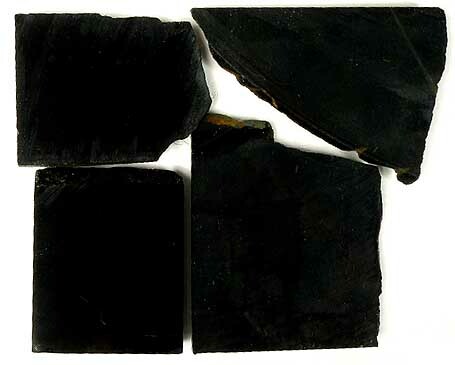 Unlike black onyx, which is dyed chalcedony, Absolute Black "Jade" is completely natural. Excellent material for inlay, cabochons and beads. Mohs hardness 6.5.